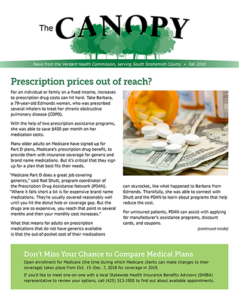 South Snohomish County residents will receive a copy of The Canopy, the newsletter of the Verdant Health Commission, in early November 2018. This publication features an update on programs and initiatives Verdant supports. Take a look at the PDF here.